Gallatin Valley Chiropractic accepts Worker's Compensation Insurance, which most often covers treatment at 100% leaving no cost to the patient. Our main goal is to get the injured worker back to their original state before the accident as fast as possible so that they may return to work pain free and at their full capacity. We treat both spinal and extremity injuries (shoulder, knee, hip, ankle...etc). Recent studies have shown that work-related injuries are responsible for billions of dollars of productivity and wage losses, medical costs, employer costs and cause millions of lost workdays each year. The most common cause of disability in individuals younger than 45 is back pain. 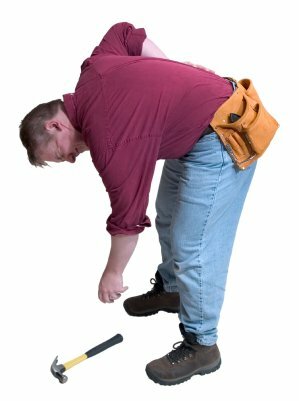 Improper lifting techniques and unsafe environments all play a role in increasing the risk of injury in the workplace. Chiropractic care has become one of the leading treatments for work place injuries. Studies have shown a significant decrease in the cost of care for individuals that were treated by chiropractors compared to those treated by a medical doctor. The duration of the disability was also decreased when chiropractic care was involved. Workers were able to return to work much sooner and had a lower incidence of recurring back pain once treatment was completed. The largest study every conducted on low back pain determined that chiropractic care was the most effective treatment for low back pain. It is not surprising that so many injured individuals turn to chiropractic! Motorized vehicle accidents: These injuries may occur in the workplace if an employee is struck by a motorized vehicle, or if they are travelling with a company vehicle. Repetitive use injuries: Employees are often required to perform the same actions on a daily basis. Repetitive strain injuries occur due to increased abnormal stresses on specific joints or muscles in the body. For example, an individual that sits at a desk and types all day may develop numbness and tingling in their arms. Overexertion: This type of injury occurs when the employee is applying a great deal of force into a task, such as pulling, pushing, tossing, carrying or holding heavy objects. If an injury has occurred at work, it is important to visit a chiropractor to ensure that no spinal injury or misalignment has occurred as a result of the injury. Chiropractors have the most training when it comes to dealing with skeleton-muscular injuries in the body. They use a variety of adjustment and therapy techniques to decrease inflammation, improve function and mobility and prevent further injury. At Gallatin Valley Chiropractic, we use a combination of spinal manipulation and soft tissue techniques which are ideal for returning to the workplace in the least amount of time and ensuring an effective recovery. Chiropractic spinal adjustments involve increasing mobility in the spine and removing nervous system interference by restoring proper spinal alignment. There are a variety of different manipulation techniques that can be used including manual adjustments, instrument-assisted, drop-piece and flexion-distraction. Soft tissue modalities include ultrasound, electric muscle stimulation, trigger point therapies, massage, and stretching and rehab exercises.